Yup your vision isn’t failing you. I’m a type 1 diabetic on Metformin. I started to take metformin over 4 years ago alongside my insulin pump therapy. I began to notice that my insulin basal doses seemed to be increasing steadily on a monthly basis. In fact my basal doses had more than doubled over a course of 4 months. Metformin – is a drug, which is usually used to treat type 2 diabetics. It is commonly given to type 2 patients who are overweight, obese and with normal kidney function. It is also used to treat gestational diabetes and polycystic ovaries. I wasn’t overweight or obese and I maintained a good healthy weight for several years. So why did I need it all of a sudden? It just made no sense at all. Being the scientist that I am, I started to look for different research papers which might be related to metformin and type 1 diabetes. A lot of the papers I came across only made mention of type 2 diabetics taking this drug due to insulin resistance. Wikipedia states that, Insulin resistance (IR) is a physiological condition in which cells fail to respond to the normal actions of the hormone insulin. The body produces insulin, but the cells in the body become resistant to insulin (through changes in their surface receptors) and are unable to use it as effectively. Beta cells in the pancreas increase their production of insulin, further contributing to hyperglycaemia. This often remains undetected and can contribute to a diagnosis of Type 2 Diabetes. Could it be that I’d developed some sort of insulin resistance specific to type 1 diabetes? HMMMM!! As I delved deeper, I came across a paper which talked about insulin resistance occurring in type 1 diabetics. Just like type 2 diabetics, type 1 diabetics are also known to suffer from insulin resistance. Metformin had been mentioned as a drug which was able to lower the amount of insulin required, by helping the body move and use the insulin more efficiently. So maybe in my case the insulin from my insulin pump wasn’t being used and moved around my body efficiently! I decided to make an appointment to see both my diabetic doctor and nurse to see what they thought, without telling them the extensive research I’d done. After a lengthy conversation they also came to the conclusion I might be Insulin resistant and suggested that I try Metformin. They explained all the past and recent research done, the success people with both type 1 and 2 diabetes have experienced with this drug. 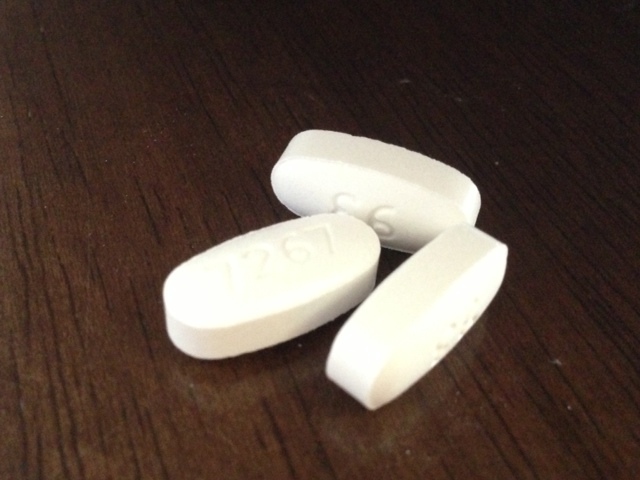 Initially, I started to take (500mg metformin, prolonged release tablets), once a day with my evening meal. Almost instantly I noticed that the amount of insulin I had needed prior to metformin began to reduce. I was then advised to increase my dose to (500mg prolonged release twice a day) with my evening meal. I started to experience different side effects. Some of the good side effects were, my HbA1c dropped from 7.9% to 7.0%. I dropped a few pounds and my insulin requirement continued to decrease drastically. Some of the unpleasant side effects were, severe abdominal pain followed by gas and severe upset stomach, which would then settle after 24 – 48 hours. Later I realised that this was down to sometimes forgetting to take my tablet. So if you make the decision to take metformin, remember not to skip your dose. I began to think this drug really was amazing! It was reducing my insulin intake, my HbA1c was fantastic and I was in even greater shape than I was before. This all became extremely important because my husband and I had made the decision to try to conceive. When I finally conceived, I continued to take metformin for the first 4 months of my pregnancy. I then stopped taking it completely until nearly a year after my pregnancy. I’ll go further into this when I do my post on diabetes and pregnancy. As a type 1 diabetic, if you’re considering metformin, I’d definitely recommend talking to your doctor first. “Do your own research, prepare questions to ask your doctor. Be prepared!” After all it is your body. You must remember that, we all react to medication in different ways and you may or may not have the same results that I did. However, I strongly feel that the metformin played a great part in reducing my HbA1c and also more than halving my insulin basal dose. 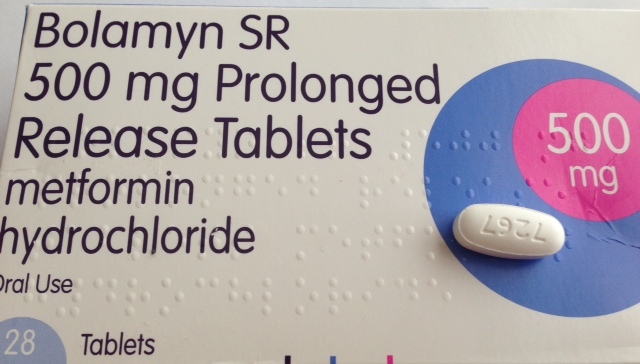 Perhaps the metformin combined with other factors such as eating a low carb diet, exercising and eating healthily, which I was doing prior to taking metformin helped to achieve good results with the drug.